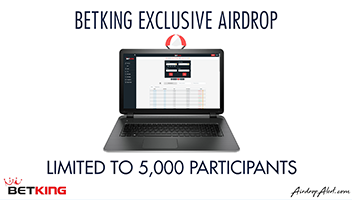 BetKing Airdrop is brought to you by a collaboration between BetKing and Airdropalert.com in order to build a community and distribute the tokens to a wide network. The BetKing Airdrop cap is 5,000 participants and each eligible applicant will receive 25 BKB (~$ 2.50), earn additional 25 BKB tokens for each friend that you refer! 4) Airdrop questions should be sent to support@airdropalert.com or read this FAQ. Please do not ask in the Telegram group, in most cases this isn’t beneficial to community members. Join the airdrop through your Airdrop Dashboard for an easier experience for joining airdrops. Connect your socials once and your usernames will be pre-filled, so there are no more errors with usernames! How does the BetKing Airdrop work? Read the airdrop rules and perform the tasks as shown on the airdrop form. For BetKing Airdrop the tasks are Twitter and Telegram related. 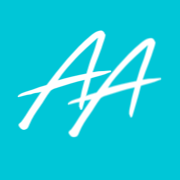 Therefore, you will need an account on each of those social platforms. Fill in the BetKing Airdrop form with your usernames and register an account at BetKing Exchange. The distribution will be on your BetKing account after the Airdrop campaign ends, in Q1 2019. The BetKing Airdrop is limited to 5,000 participants and will close once this limit has been reached. Joining the BetKing community will keep you updated with all events and progress of the project as well as the Token Sale and the Airdrop status. Q1: Do I need to register an account at BetKing? Yes, it is required to register an account at BetKing in order to receive your Airdrop. Make sure to use the same e-mail address as you use for the Airdrop. Token distribution is done 2 weeks after the Airdrop campaign is over on the BetKing Exchange. Registering on the BetKing exchange is one of the tasks. Make sure to use the same e-mail address as you provide on the Airdrop form. Q4: When does registration close for the BetKing Airdrop? When we reach 5,000 applicants. Make sure your Telegram username correct in the form. Check the question above to see how to set your Telegram username. Yes, if you unsubscribe before airdrop distribution you will not be qualified for the BetKing airdrop. Q9: Do I need to stay in Telegram group of BetKing? Yes, staying in the Telegram group is also required to be eligible for the airdrop. You need to be a member of the community until airdrop distribution. Follow all the instructions correctly and a confirmation e-mail will be e-mailed to you to confirm your application. Due to high traffic it could have a delay of maximum one day. Check other folders if you did not receive it. Gmail occasionally sends it to your “promotions” category, while Outlook may send it to “spam”, therefore please check all folders & categories for your confirmation email. Q11: How many BKB tokens do I get for the airdrop? Every person receives approx. 25 BKB (~$ 2.50) on distribution date after the Airdrop campaign ends, scheduled during first quarter of 2019. Q12: Is there a referral system? Yes, after you have applied for the Airdrop, a confirmation e-mail will be sent to you which includes a referral link. If other people join the Airdrop whilst using your link, you will earn one referral. For each referral 25 BKB is earned. Yes, for the BetKing Airdrop you have to complete the KYC. The KYC is managed by our partner Civic. Complete the KYC with Civic once, so that you will be KYC’ed for every next Exclusive Airdrop! If you run into issues during the KYC process of Civic, visit the Civic Help Center. Q14: Wait, you didn’t answer my question!